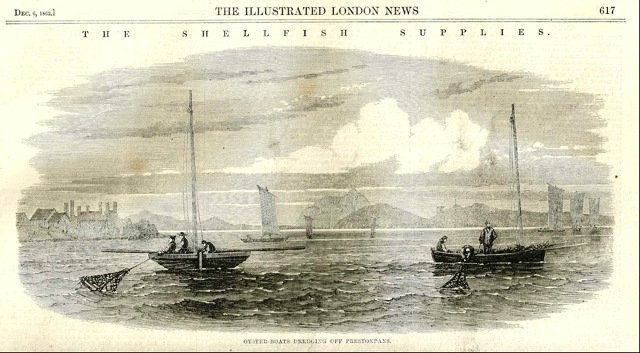 An enquiry from folklorist Bob Walser – what do we know about Firth of Forth oyster boats? This Illustrated London News engraving from 1862 is the latest clue in Bob Walser’s continuing investigation into the background of a series of ‘dreg songs’ recorded by folklorist James Madison Carpenter from families in the Firth of Forth area. 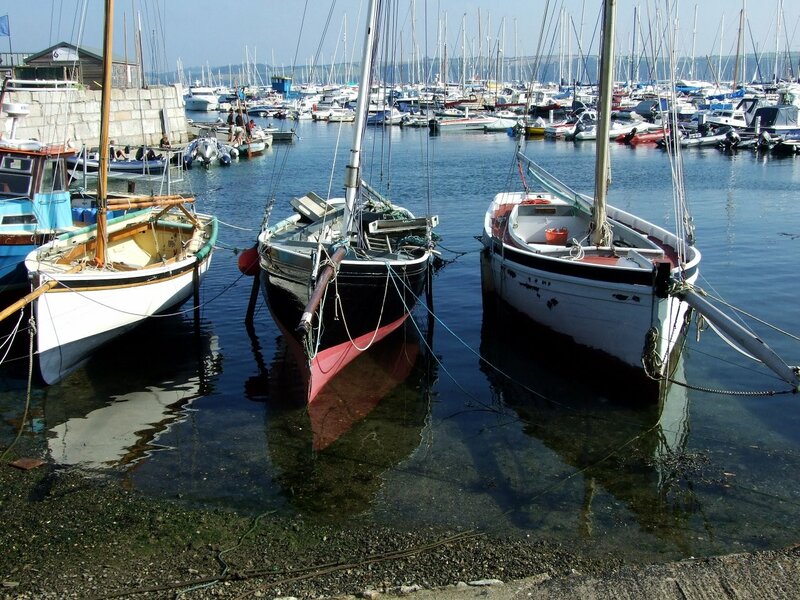 Bob asks whether intheboatshed.net readers can provide any information about the boats pictured, the use of two sweeps simultaneously, and about oyster fishing in the Firth generally please? 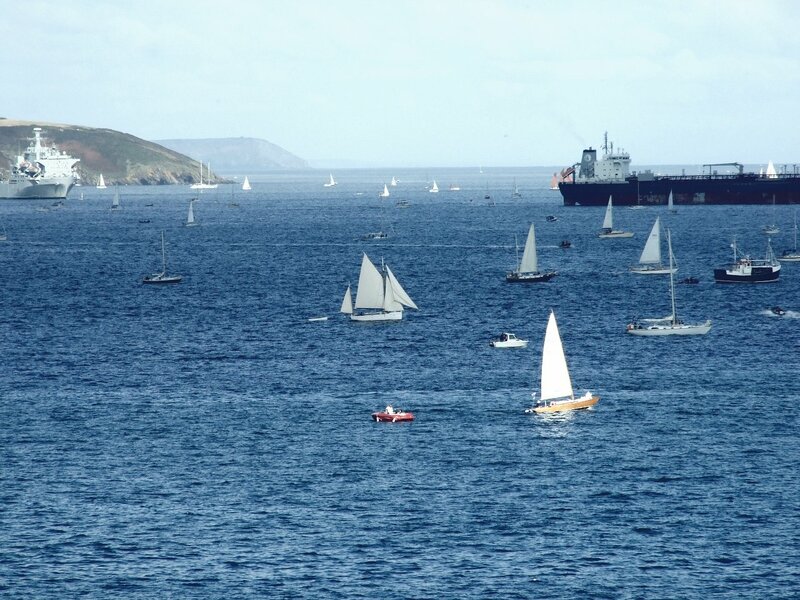 I haven’t any specialist knowledge of the area, but I’d say that the boats rather resemble the early fifie shown in the Washington Report of 1849, though rigged with a single mast rather than two – which makes sense what appear to be fairly small boats. 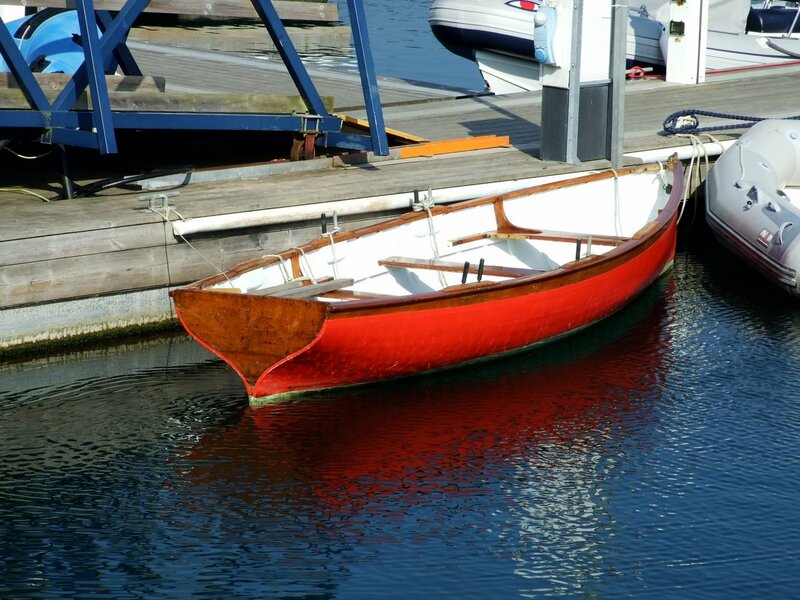 The full sized early fifies are described by the Chatham Directory of Inshore Craft as beamy, double-ended entirely open boats with upright stems, which seems about right. 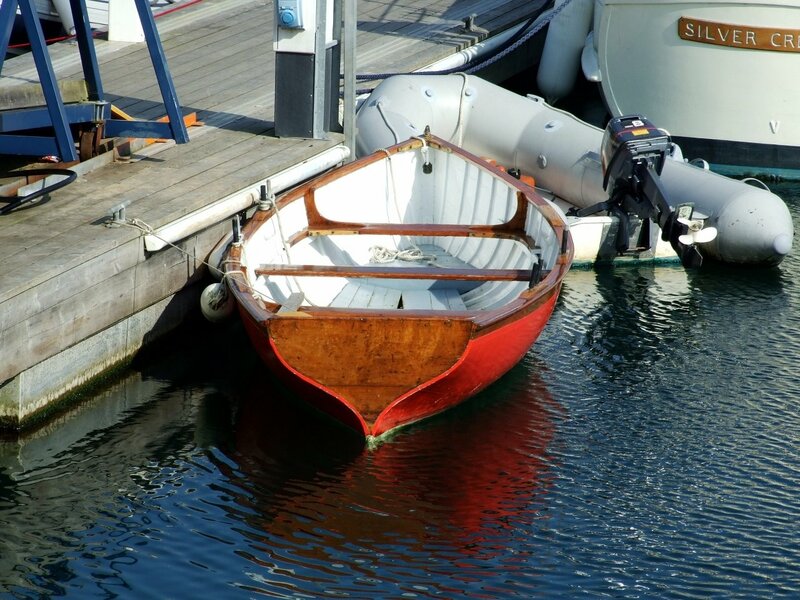 The boats were made to be full ended at the sheer and had hollow waterlines forward but were a more bouyant shape aft. The two sweeps make practical sense to me, not least because they would enable the boat to travel in a reasonably straight line, without using the rudder so far over that it acted as a brake and made hard work for the crew. These are just my untutored guesses. What do the rest of you think – or, even better, know about Firth of Forth oyster boats of this era please? Author Gavin AtkinPosted on March 21, 2011 March 21, 2011 Categories Boating, boats, ships and the sea, Culture: songs, stories, photography and art, Designs and designers, boat plans,books of plans, History, Locations, Rowing boat, Sailing boat, Small boats, Traditional clinker, wooden boat, Working boatsTags boat, boats, bob walser, dredging, Edinburgh History Museum, fifie, fishing, oysterLeave a comment on An enquiry from folklorist Bob Walser – what do we know about Firth of Forth oyster boats? The start of the Tall Ships Race included some interesting-looking mystery boats, as did a brief trip to Mylor and it’s cute little church. 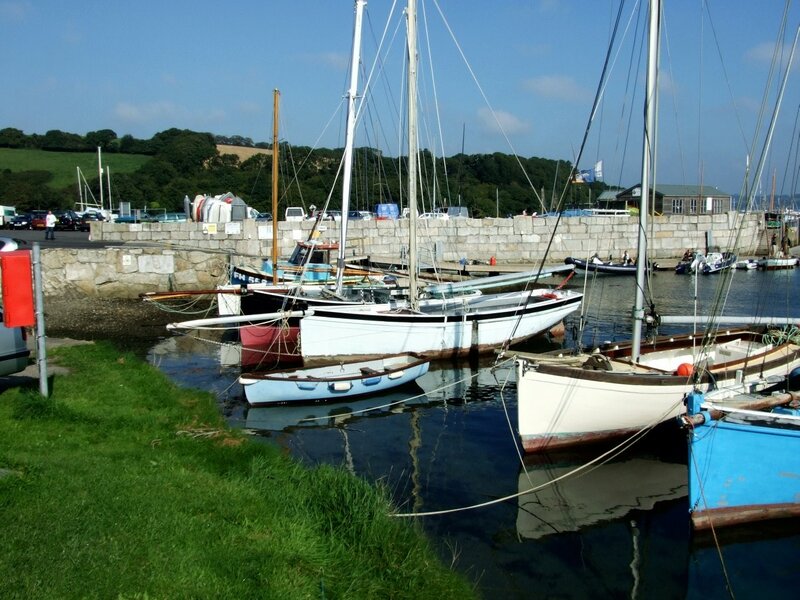 But first I thought I should show you some of the last sail-powered fishing boats in the UK. 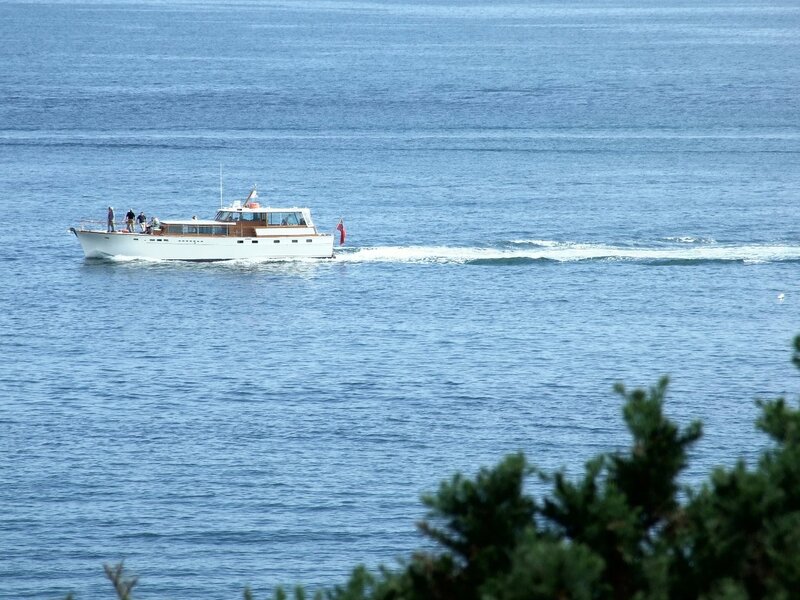 These yacht-like vessels work oyster beds in the Fal and Helford estuaries and are forbidden by a local byelaw from using engines. On their days off I gather those who work them also enjoy some keen racing. 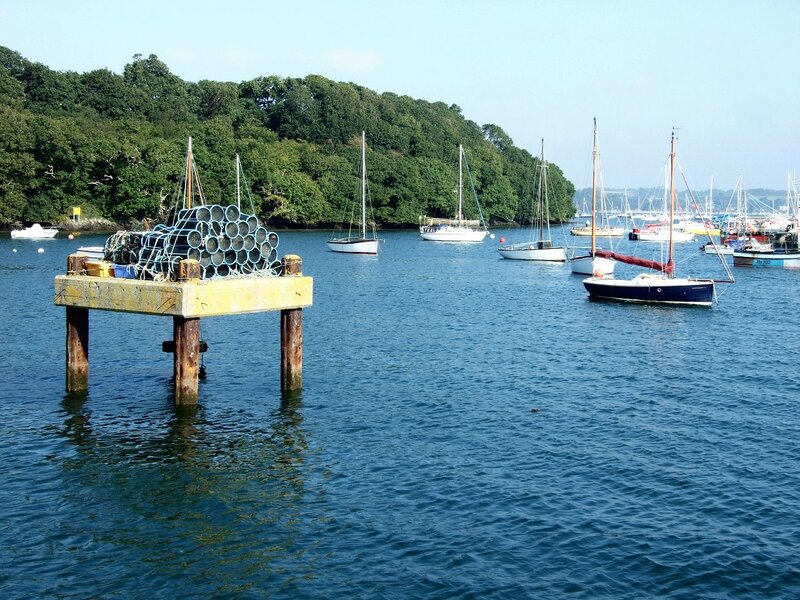 For material relating to Percy Dalton, artist and designer of the St Melorus Fal oyster boat, click here. know the answer from what you can see? 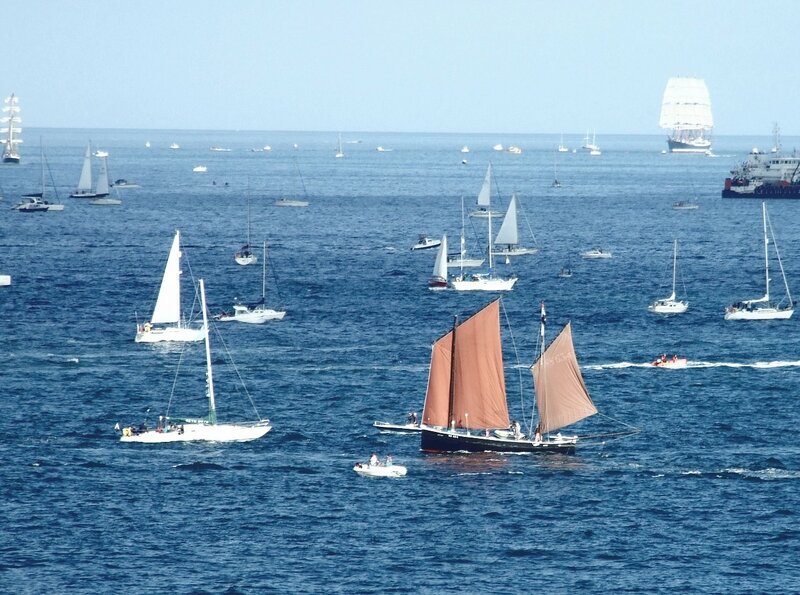 ‘In a comparatively few years, it will be impossible to experience at first hand the glory of a work-boat under sail, and the yachtsmen who really hear the message the sea has for them will look wistfully back at the old books and wonder what it all amounted to. 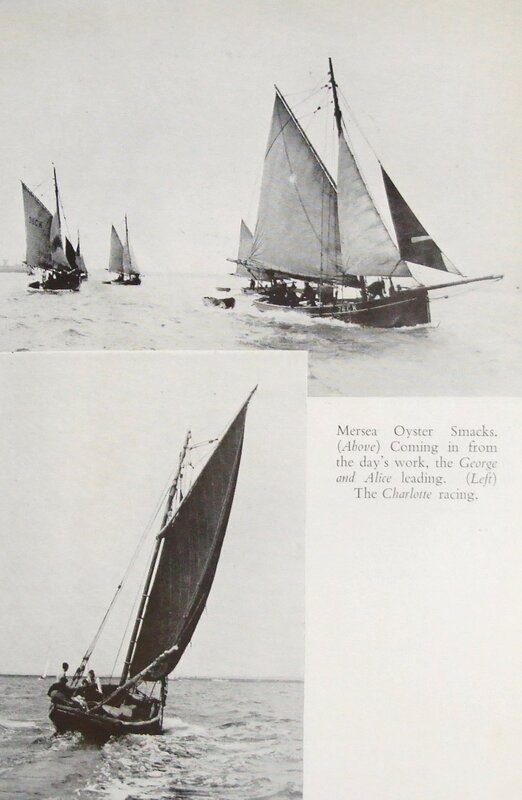 ‘When I bought my eleven-ton Mersea smack Charlotte I did not know. I had at that time a pretty six-ton cutter built around the turn of the century at Cowes, as sweet a model as ever you saw but too small to be manly. I got sick of trailing my boom end in the water on a quartering breeze and felt the Charlotte would be fun to amble majestically about in. I pictured myself pushing half Burnham River in front of me and bringing up with my tarry topsides vexing the eyes of the diners in the Royal Corinthian Clubhouse. I had not the faintest idea I was becoming master of something which, besides wide decks spacious enough to take a real stroll on, posessed the spirit of a terrior, the nimbleness of a polo pony, and the heart of a lion. ‘Sailing her was essentially different from handling any yacht I have known, chiefly because of her true flush deck, without a cockpit of any kind, and the way it enabled her gear to be spread about. There was a deliberate certainty about all she did. One could move about her and set up her gear unencumbered by anything obstructing action or vision. What a different job it was walking along beside her long boom, reefing her heavy, docile, loose-footed flax mainsail, to the struggle to roll up the fluttering folds of a laced yacht sail, one leg in the cockpit, the other seeking a hold on a rounded cabin-top. She had hardly a shackle about her rigging, which was all rope strops and easy-fitting iron hooks. She had not a wire splice anywhere, the main shrouds being simply seized round dead-eyes. She had hefty wooden cleats to supplement the friendly fife-rail. It was all as ample and comfortable as an old tweed jacket. ‘Though I sailed her often by myself, I never led her jib-sheets aft. In the narrowest of creeks one could always down-helm and leave the tiller in charge of the tiller-line, while one sauntered forward and tended the headsail. Hurry? Not a bit of it! Round she came, shooting ahead a smack’s length, and you could stop up by the bitts as long as you liked and let her settle down on the new tack. A lee shore amused the Charlotte. I well remember being caught at Queenborough and fearing I should drag ashore there, of all unattractive spots. The reefed mainsail and small jib were set, and she tacked her way up to the anchor as I got in the chain. She broke it out herself when she felt like it and went trundling away up the Medway, while I sat on the windlass and let her sort it out. Great stuff – Last Stronghold of Sail is a super book, if you can find it – however there are copies at very reasonable prices listed at ABE Books.